Five top chefs share their favorite ingredients for quick home cooking. Lots of chefs don’t cook at home. I know this because I used to cook in restaurants, and on my one day off each week, the last thing I wanted to do was cook; I wanted someone else to cook for me. Fortunately, not everyone feels that way. There are also plenty of chefs who love making meals at home because it gives them the freedom to cook simple, straightforward dishes using the ingredients they love. The five creative chefs featured here all told me the same thing: the secret to quickly putting together a great meal at home is a well-stocked pantry. So what do these professionals always have on hand? Their favorite ingredients for boosting flavor run the gamut, from familiar (maple syrup) to exotic (yuzu kosho). Each one brings fantastic texture or flavor to otherwise tame fare and lasts for months in the cupboard, fridge, or freezer. 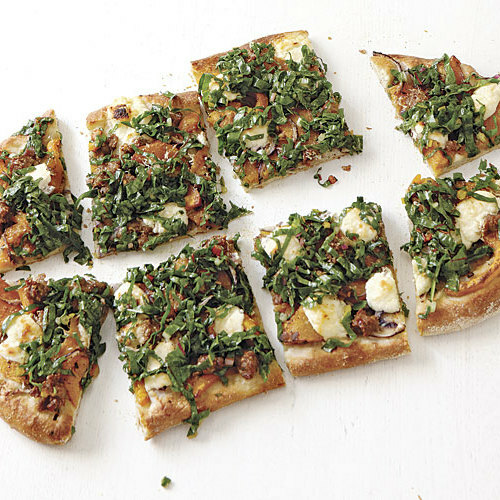 Read on to find out more about the special ingredients these chefs love, and get their best recipes for using them, too. Thank goodness not all chefs are as lazy as I was. Web extra: Ever wonder what the editors of Fine Cooking magazine always have on hand in their pantries? 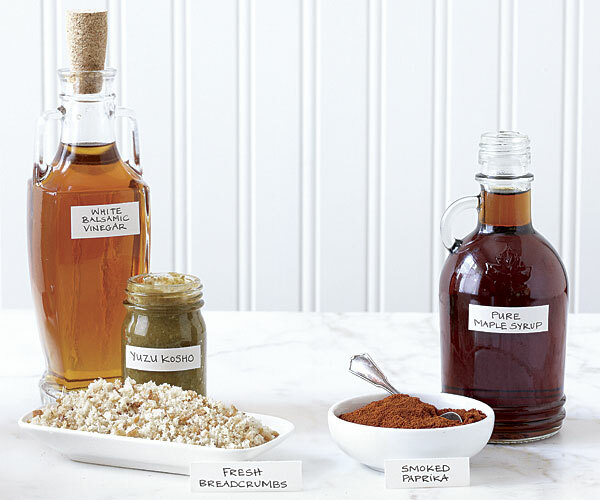 View a slideshow of the editors’ favorite pantry ingredients. 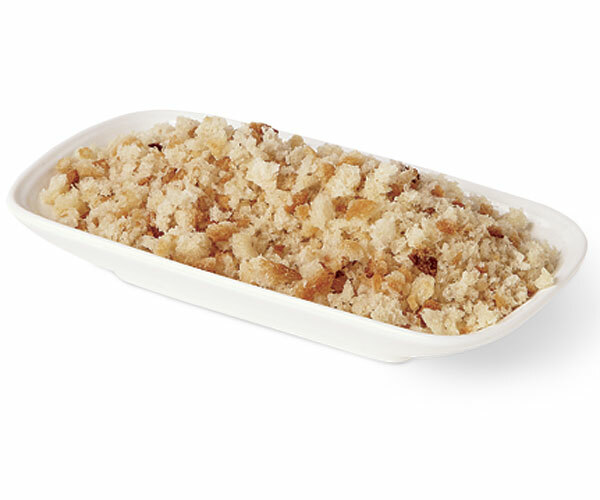 What they are Homemade fresh far breadcrumbs taste far better than store-bought, and they’re infinitely versatile. Plus, they couldn’t be easier to make: Just pulse crust-on cubes of one- or two-day-old artisan-style bread in a food processor to your desired consistency. They’ll keep in the freezer for several months. • Make Italian-style egg drop soup by toasting them and then beating them with eggs, nutmeg, Parmigiano-Reggiano, and lemon zest; whisk into boiling broth. • Sauté them in olive oil with garlic and fresh herbs until crisp; sprinkle over cooked fish fillets or pork or chicken cutlets. • Toss them with olive oil, lemon zest, minced garlic, and fresh parsley; lightly press onto peeled shrimp or fish fillets before broiling. • Sauté them in brown butter with nutmeg, a pinch of sugar, and chopped walnuts for a topping for gnocchi. 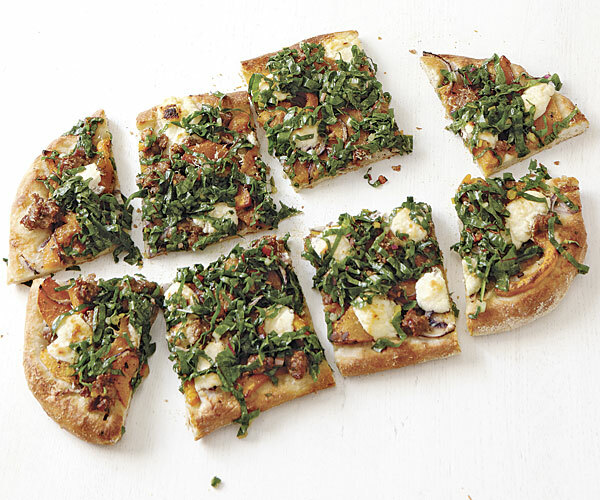 • Toast them and then sprinkle over sautéed greens, like chard, spinach, or escarole. What it is This spicy-tart Japanese condiment is made from the zest of yuzu—an aromatic Asian citrus fruit—mixed with minced chiles and salt. There are two kinds: green and red. The spicier and more common green yuzu kosho is made from unripe green yuzu zest and green chiles, while the milder, brighter red version is made from ripe yellow yuzu zest and red chiles. You can find both varieties in Asian markets and online. 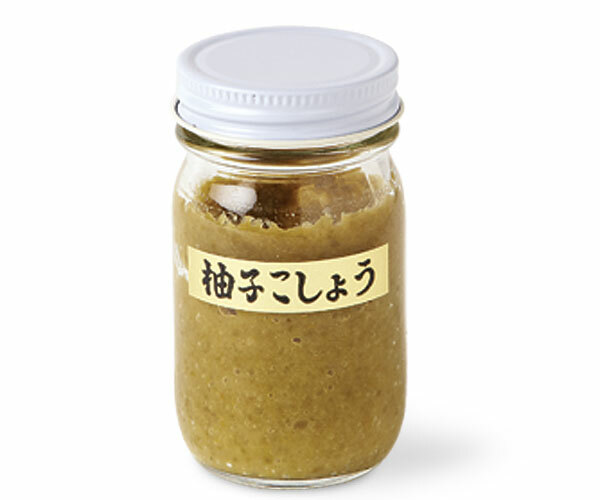 Yuzu kosho will keep, refrigerated in an airtight container, for up to 3 months. • Add it to soups at the end of cooking. 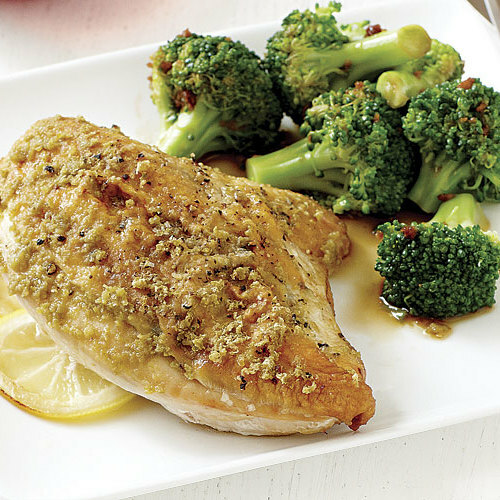 • Spread it over cooked steaks, pork chops, or meaty fish fillets. • Dab it on steamed or baked sweet potatoes or roasted root vegetables. • Mix it with ponzu for a dipping sauce for dumplings or cold noodles, or mix with soy sauce for a dipping sauce for sushi or sashimi. • Use it to add citrus and spice flavors to vinaigrettes. 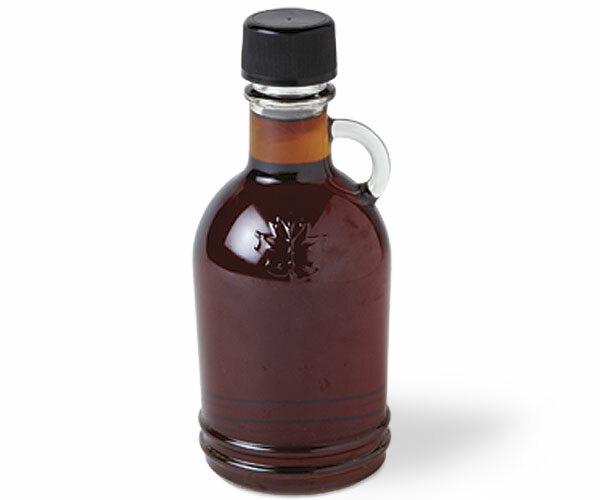 What it is Primarily produced in Quebec and New England, pure maple syrup is the boiled-down sap of sugar maple trees. Pancake syrups (with no real maple) and maple-flavored syrups (with a little bit of maple) are no comparison. 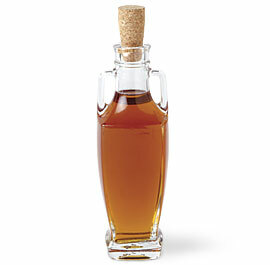 True maple syrup has a complex, nuanced sweetness, and it works equally well in savory and sweet dishes. You can find it in supermarkets, and it will keep, refrigerated, for several months. • Add it to brines and marinades for chicken, turkey, and pork. • Use it to sweeten vinaigrettes for all kinds of salads, including green, roasted vegetable, and fruit salads. • Add it to cocktails, especially those with bourbon, instead of simple syrup. • Mix it with a little water, freeze, and scrape for shaved maple ice. 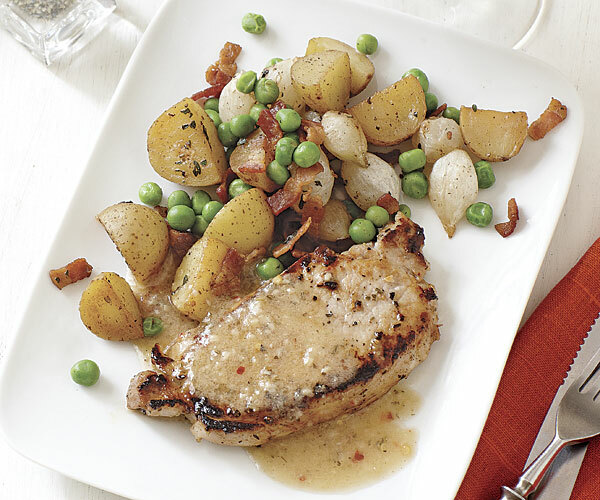 • Add it to sauces for poultry, pork, and seafood. 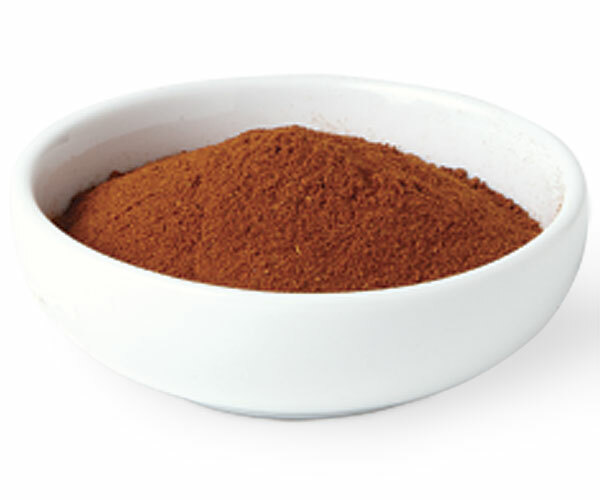 What it is Smoked paprika, which is imported from Spain (where it’s known as pimentón de la Vera), is made from Capsicum annuum peppers that are smoked over oak and then ground in a stone mill. It can be sweet, bittersweet, or hot. Find it in well-stocked supermarkets, gourmet shops, and online. It’ll keep in a dark, cool place for up to 1 year. • Sauté it in olive oil with minced garlic and panko for sprinkling over steamed artichokes or green beans. 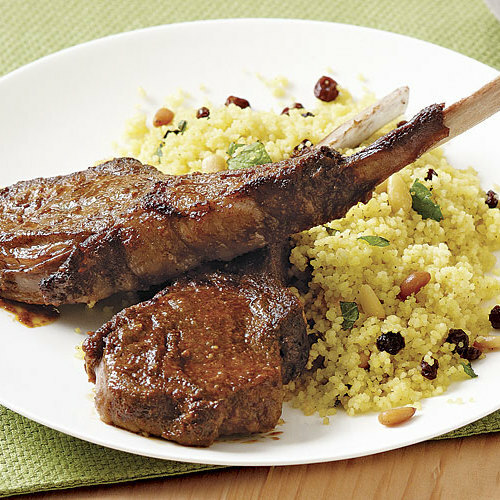 • Infuse it into extra-virgin olive oil to use as a dipping sauce for grilled country bread. • Mix it with flaky sea salt and sprinkle over fresh raw vegetables. 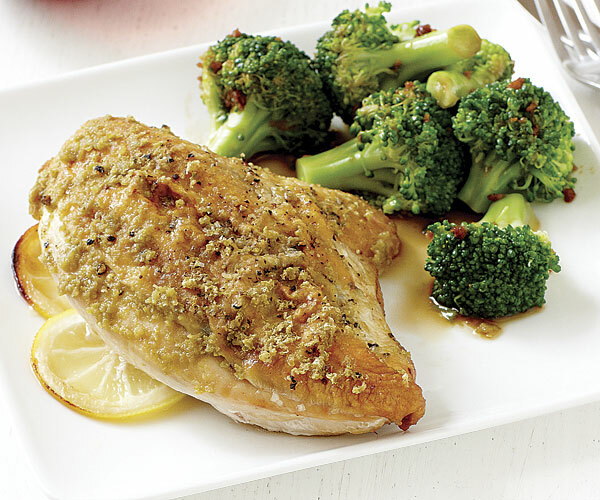 • Combine it with softened butter and garlic powder and rub under the skin of a whole chicken before roasting. • Add it to sauces, especially rich ones like hollandaise. What it is Like its darker counterpart, white balsamic vinegar is made from the cooked must, or unfermented juice, of white Nebbiolo grapes. 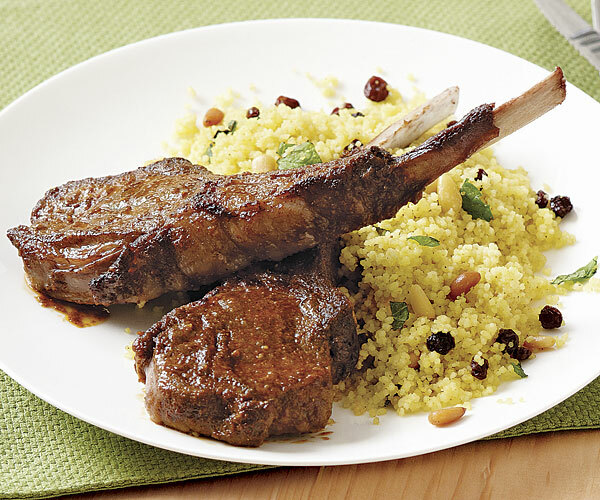 But while dark balsamic is caramelized at high temperatures and aged for at least 12 years in wooden barrels, white balsamic is cooked over low heat to prevent caramelization and aged in stainless-steel or oak barrels for a much shorter time. The result is less sweet and syrupy, with a cleaner finish. You can find it at well-stocked supermarkets. It’ll keep in a cool, dark place for several months. 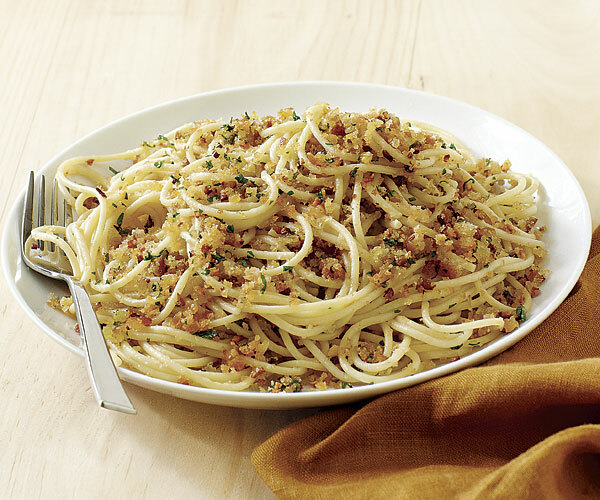 • Simmer it with minced shallots, fresh thyme, and a bit of sugar for a glaze for seafood, such as scallops or shrimp. 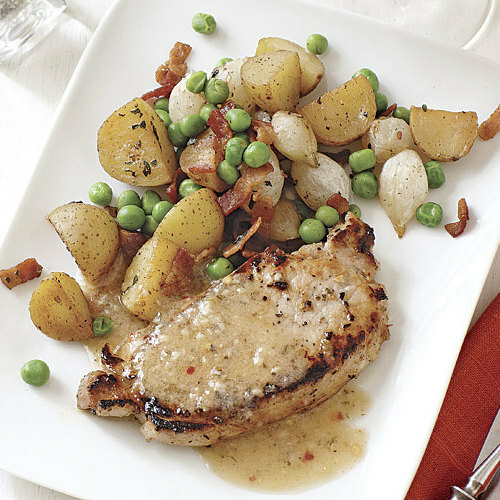 • Whisk into melted butter for a simple sauce for chicken, pork, or veal. • Make a vinaigrette with balsamic vinegar, olive and canola oils, Dijon mustard, and minced shallot. • Use it in cocktails instead of sour mix. • Use it to macerate fresh fruit with sugar and cracked black pepper; then serve the fruit over toasted pound cake with ice cream.